KOKOMO, Ind. — Indiana University Kokomo will partner with area teachers to enhance science education, while also providing more opportunities for future teachers to build their skills. The School of Education received a $2,250 Scholarship of Engagement faculty grant from the Indiana Campus Compact to fund its science inquiry fellows project. The project includes a one-day workshop to prepare teachers in grades 5-12 to lead scientific inquiry projects. Teachers who attend the Saturday, August 25, workshop may apply for a fellowship, which would provide classroom assistance from math and science education students. 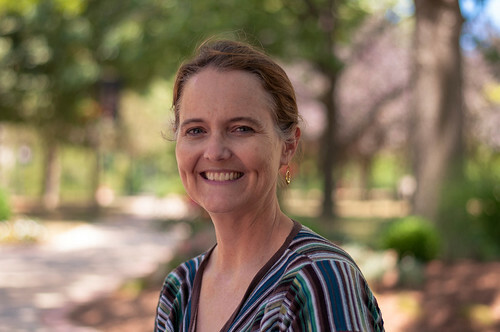 Julie Saam, assistant dean for the School of Education, said the project benefits current teachers by offering assistance getting started teaching through scientific inquiry. It also gives future teachers a chance to work with students and hone their skills. "We're enhancing what is already happening in these classrooms, and preparing our education students to be excellent teachers," Saam said. "Our students need to be out there. We can talk all we want in a classroom, but if they're not out there practicing it, they don't learn how to be effective educators." It also fits with the campus' three themes, set forth by Chancellor Michael Harris, of academic excellence and student success, building relationships and making friends, and transforming the region. Susan Sciame-Giesecke, executive vice chancellor of academic affairs, said the program extends the campus' community outreach of hosting the Howard County Science Fair, and hopefully will lead to more participation. "IU Kokomo has been a leader in the promotion of local and state sciences fairs for years," she said. "The future of our economy is dependent on more students seeking college degrees in science, math and technology. This workshop will help teachers understand the importance of continuing science fairs and increasing student participation. We hope it will encourage more students to look at science and a college major and a career choice." Saam said the goal is to show teachers how to start and complete a scientific inquiry project, and also how to organize and run a science fair. "We want to help teachers understand how to go through the process of helping students choose questions," Saam said. "They can then help their students frame those questions to collect the data they need, and then lead them through collecting and analyzing that data, to come to a conclusion and back it up with the data." She also wants to introduce teachers to community resources with expertise in scientific areas. "There are people out there who can help students with research, or provide other resources. We want to make sure not just teachers with an inside track know what is available to them," she said. The workshop is 8 a.m. to 4 p.m. Saturday, August 25 at Inventrek, 700 E. Firmin St. For more information or to register, contact Saam at 765-455-9302 or e-mail jsaam@iuk.edu.